@bk11648 For you? Free of charge. Bare knuckle, of course? @dougfotografix @salisburyzoo Good times tonight! Jake Day is the Mayor of Salisbury, Maryland. Born and raised in Salisbury, he was elected to the City Council at the age of 30 and unanimously elected President. The Mayor’s budget was recently passed, opening a new era of investment in our youth, our neighborhoods, our downtown and our economy. Previously, Jake served as founding Director of the Center for Towns – a community design and engagement program serving the towns of the Eastern Shore. Jake has served as national President of the American Institute of Architecture Students and Editor-in-Chief of CRIT, a journal of architecture. 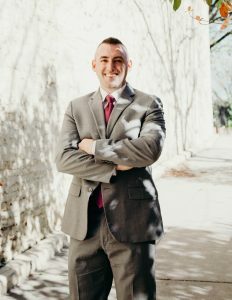 Jake earned a bachelor’s degree in Architecture from the University of Maryland and master’s degrees in Urban Design and Environmental Policy from Carnegie Mellon University and Oxford University. Jake is a Captain in the US Army National Guard, currently serving as the Senior TAC Officer at the Officer Candidate School. Jake is a member of the Next American Vanguard, Leadership Maryland, and the Smart Growth America Local Leaders Council Advisory Board. A Richard Upjohn Fellow, he previously served as a director on the American Institute of Architects national Board of Directors. Jake is a First Lieutenant in the Army, serving as a TAC Officer in the Officer Candidate School. He is a graduate of Maneuver Captains Career Course, Armor Basic Officer Leaders Course, Officer Candidate School and Basic Combat Training at Fort Benning, GA. Jake has served as a Platoon Leader and Executive Officer in the 1-158th Cavalry Regiment of the 58th Battlefield Surveillance Brigade and as Aide-de-Camp to Brigadier General Hinz, The Assistant Adjutant General of the Maryland National Guard. Sustainable Growth Award for Leadership & Service, a 2010 Strong Communities Competition national semi-finalist, 2010 Heart of the Chesapeake Outstanding Project award, 2007 ULI Gerald D. Hines Urban Design Competition Honorable Mention and has been featured at the International Society of City and Regional Planners’ Conference in Belgium and in publications including Urban Trialogues and Strategies for the Reuse of Vacant Urban Land. He was also featured in the 2007 book – Becoming an Architect, by Lee Waldrep, Ph.D. In addition to his written and editorial work for Crit – Journal of Architecture, Jake authored a 2010 book about ESLC’s place work[s]hop community design process. He has been a featured speaker and panelist at the AIA National Convention – interviewing Santiago Calatrava for the AIA Gold Medal Forum, the ACSA Administrators’ Conference, and the National Building Museum. Since his election, Jake’s budgets have focused heavily on community betterment through placemaking, crime reduction, and infrastructure improvement. Under his leadership, the City has identified its brand, which can now be seen on signs, shirts, hats, vehicles, stickers, and even the City’s historic Victorian water standpipe. Main Street improvements are underway, thanks in part to a 1 million-dollar allotment of the State’s budget from Governor Hogan. in Salisbury are big draws, and they are getting much bigger, with the addition of a full-fledged marathon, and now with the news that Salisbury will be the host city for the National Folk Festival from 2018-2020. Jake’s far better half – Liz – is a physical education and health teacher in Wicomico County. They are the parents of two beautiful daughters, Lily and Olivia.